Click the following category link to view similar titles: ISPS Book Series. 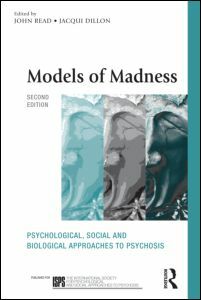 This second edition of Models of Madness challenges those who hold to simplistic, pessimistic and often damaging theories and treatments of madness. In particular it challenges beliefs that madness can be explained without reference to social causes and challenges the excessive preoccupation with chemical imbalances and genetic predispositions as causes of human misery, including the conditions that are given the name ‘schizophrenia’. This edition updates the now extensive body of research showing that hallucinations, delusions etc. are best understood as reactions to adverse life events and that psychological and social approaches to helping are more effective and far safer than psychiatric drugs and electroshock treatment. A new final chapter discusses why such a damaging ideology has come to dominate mental health and, most importantly, how to change that.